Qantas and its regional wing QantasLink have taken top honours for punctuality in May, new figures show. The Bureau of Infrastructure, Transport and Regional Economics (BITRE) report on domestic on-time performance said Qantas had 90.8 per cent of its flights arrive within 15 minutes of schedule in May, ahead of QantasLink at 89.7 per cent. Qantas also led the local carriers for on-time departures at 91.3 per cent, with QantasLink coming in second at 89.8 per cent. Among the airlines covered in the BITRE report, Virgin Australia Regional Airlines was the only carrier to report a drop in on-time performance in May compared with the previous month. On a positive note, Virgin Australia Regional Airlines had the lowest percentage of cancellations, with just two (or 0.3 per cent) of its 702 scheduled flights in the month not operated. Regional airports fared best in terms of punctuality, with Port Hedland posting 97.9 per cent on-time departures and Newman best for on-time arrivals at 97.2 per cent. 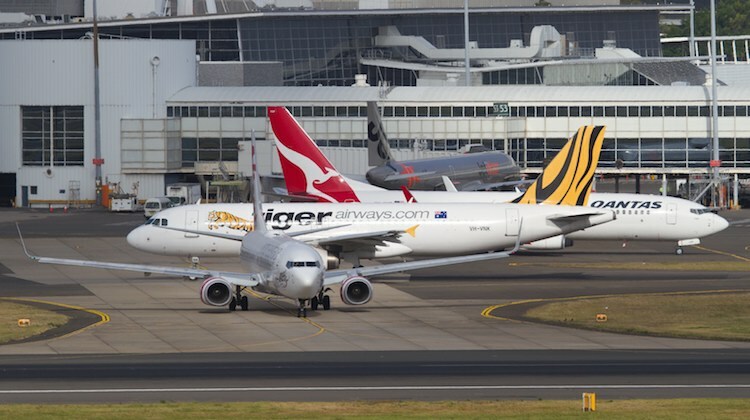 Two capital city airports made the top 10 in terms of arrivals and departures in May – Perth was in fifth place for departures with 91.5 per cent of flights pushing back from the gate within 15 minutes of schedule, while Canberra was 10th at 90.3 per cent. I think your cancellation stats for REX are from April. For May: REX flew 6661 sectors out of 6741 which gives a cancellation % of 1.187% and places it’s rank for the month as 5th behind VARA (0.285%), JQ (0.581%), QF (0.604%), TT (0.692%). QantasLink was 6th with 1.265% and VA 7th with 1.412%. Thank you for your comment. The story has been updated. Apologies for the error. No Worries AA. I usually use your reporting to check my Dashboards are giving the correct numbers!